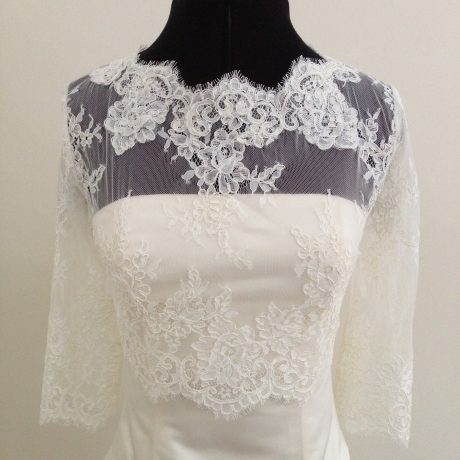 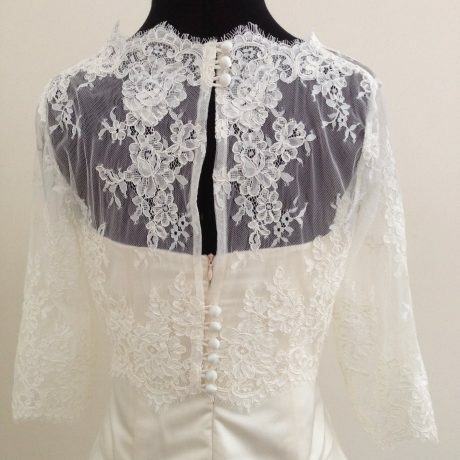 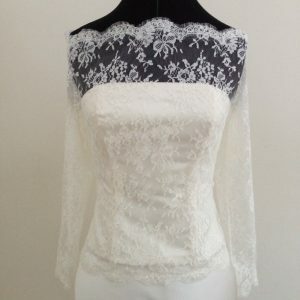 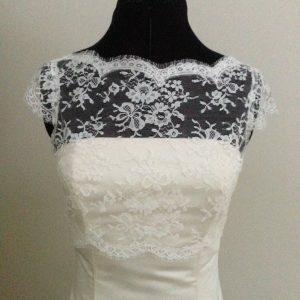 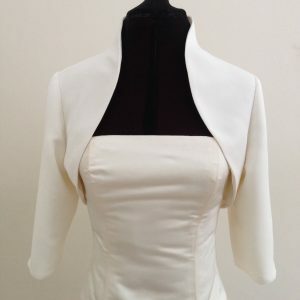 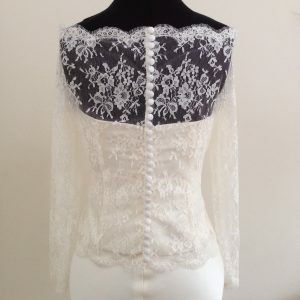 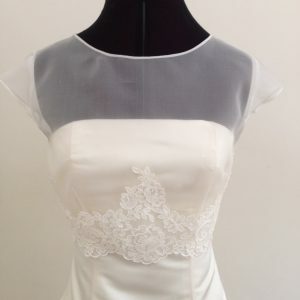 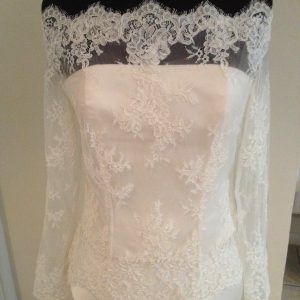 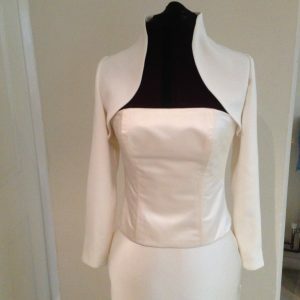 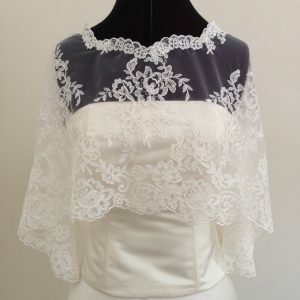 This bolero top finishes at the waist and is designed to go with a dress that has a skirt attached at the waist or can be worn with a camisole and a separate skirt to customise a brides overall look. 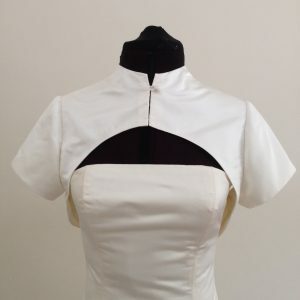 The round neckline at the front sits high at the back and is fastened at the waist and neck with loops and covered buttons creating a keyhole effect. 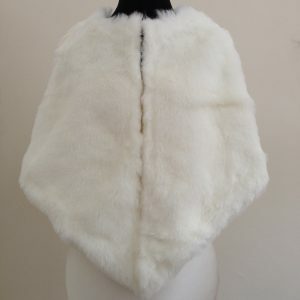 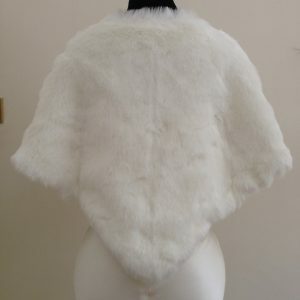 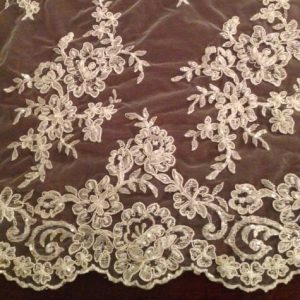 The sleeve is 3/4 length measuring approximately 16 inches/41cms. 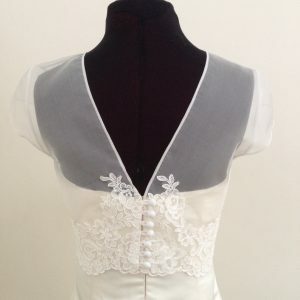 For hem length, please measure from back of neck to waist for desired length.